Maybe the only thing more Singaporean than chili crab is the Merlion himself! Singapore is all about the food. We loved the Hawker Stalls, and we love the variety of restaurants and cafes that are abundant all over the city, but we still had the iconic chili crab to try. Devon was leaving and we only had a few hours left, so it was time. On my first trip to the city, I had tried and loved the chili crab on a boat restaurant in Clark’s Quay, but this time we stopped at a restaurant in the airport called Seafood Paradise. 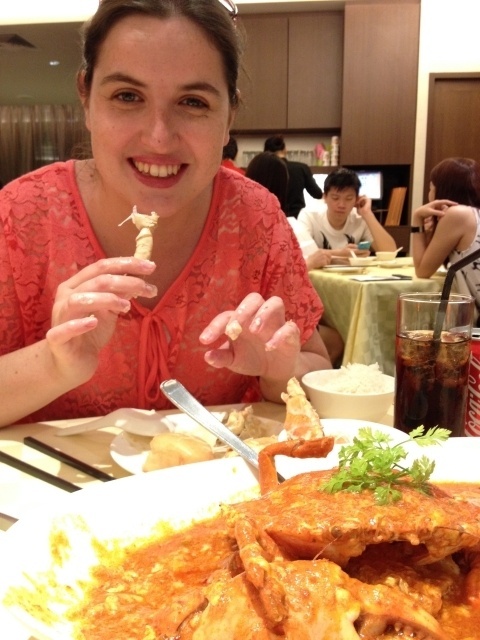 When we got there we were handed a huge menu of pictures and quickly discovered that not only could we try the traditional chili crab, but they had another item that sounded even more delicious, more decadent…the butter crab! We ordered one of each for the three of us to share. They came swimming in a bowl full of gravy goodness, and had to order a bunch of dinner rolls (mantou) to slop it up! Now, how and why did this dish become the signature food of Singapore? It’s not too hard to figure out when you take a look at the little bit of tropical land, and all the mangrove forests that line the water. 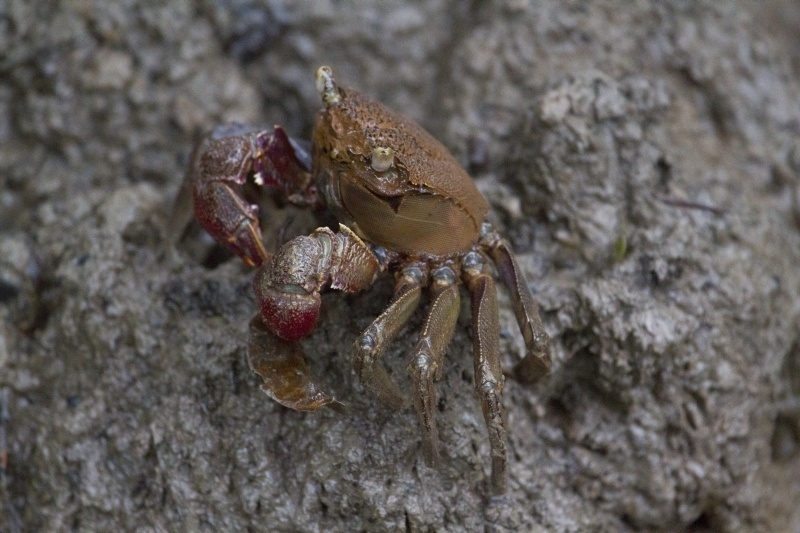 What lives in these swampy areas, mud crabs, lots of mud crabs! So how does this brown, territorial crustacean get transformed into something that all Singaporeans crave? After collected, he is deep-fried once to cook, and then deep-fried again in the gravy. The original dish is accredited to Cher Yam Tian who was the first to add a tangy chili sauce to her stir-fried crabs sometime in 1950. Prior to adding the chilis to the sauce, most Singaporeans just boiled up the crabs and ate them plain, then added a mild and very sweet tomato sauce. Cher Yam Tian started selling them with the chili infused, and her push-cart became an instant hit. If you are interested in trying to make chili crab on your own, you might want to check out the recipe here. http://www.sbs.com.au/food/recipes/singapore-chilli-crab Chile or butter or black pepper crabs are so popular that they have found their way into other dishes as well. There are chips, and the very first night we got to try an overpriced chili crab hot dog. It was interesting! 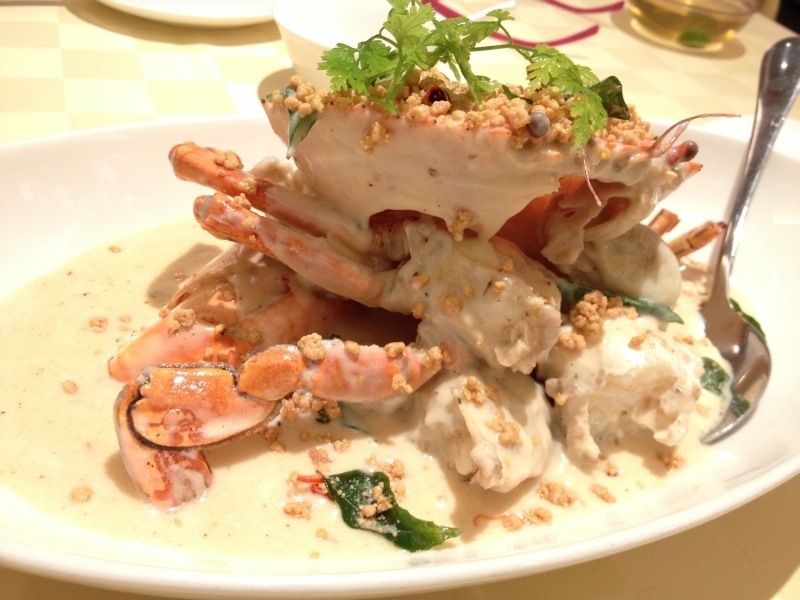 Have you been to Singapore and tried chili crab? Tell us all about your experience in the comment section! Ha, I love, love how you set up the last picture with the one of the crab prior to his delicious demise. That was awesome, Corinne. Deep fried? Gravy? My eyes are spinning in my head and my stomach is roaring now thank you very much. Mike..thanks! It was delicious, too! We also tried one. It was so delicious and creamy! Agness, It sure was! Yum! We were only in Singapore for one night as a layover city, so sadly basically just ate whatever was at the hotel (haha, don’t judge, but I’m pretty sure I had french fries!) This looks like a great local dish! Jess, That just means you will have to go back some day…trust me, it will be worth it. And hey, who doesn’t love french fries? Fantastic pictures. This is a real dilemma for me, I absolutely love crab but don’t like chili at all. I don’t do spicy food. I can understand them adding some extra flavour but they might have to tone it down for me. Guy! No problem. The butter crab was simply divine and had no chilis! Try it, you’ll like it! I haven’t been to Singapore, so haven’t had the chili crab. It does look appetizing, though! My mouth is watering! Oh Amy, It is! It is! Jan, That sounds good, too. I don’t think Cambodia food really sticks out in my mind, but if I go back I’ll have to try it. Looks delicious, something I should definitely try. Oh Rachel, I can certainly recommend it! I have been to SIngapore so many times but never tried that! It’s on my list – looks delicious! Btw just followed you on Twitter as well – great travel blog you have 🙂 Looking forward to connect! Hi Mighty Travels! Thanks for connecting. 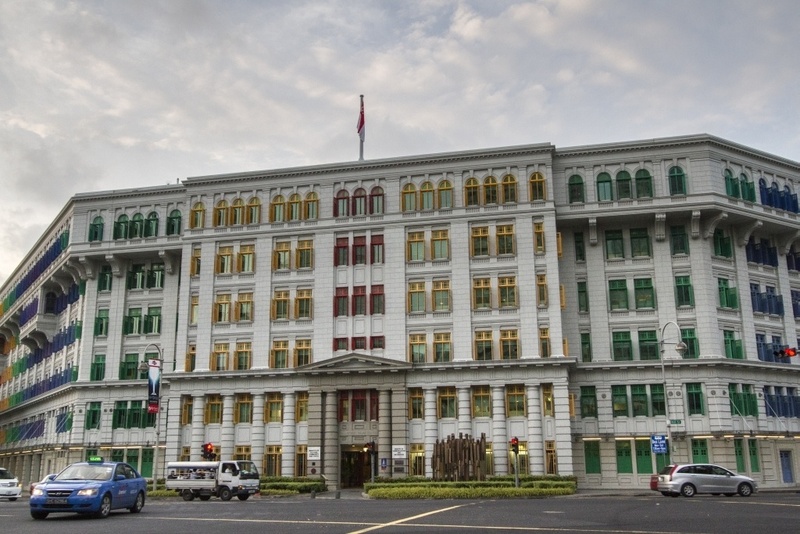 Singapore is an awesome city to travel through and around. Do try the chili crab next time! I LOVE Chili Crab, although I discovered that I don’t like The Chili Crab flavored Lay’s potato chips I bought in Thailand. We dine at Jumbo Seafood whenever we’re in Singapore. This week, we’ll be about an hour away from the city, and my girl claims that a 2 hour roundtrip is just fine for dinner there. Michele, That’s when you know the restaurant is really good, when you are willing to go out of your way to eat there! I haven’t tried those chips…hmmm.